We get it; you’re in a rush – you’ve got lots of places to be and you need to haul a bunch of kids around with you to get there! Beyond getting your kids strapped into their seats, who takes the time to think about car safety? Which is exactly why you should develop these six car safety habits with your kids. This is a no-brainer, right? But despite that, sometimes stuff happens and before you know it, you’re on a busy road and glance into the backseat, only to see your child isn’t buckled up. Make it a habit to buckle your child into their seat as soon as you put them in the car, rather than plan to go back and do it after you put a few things in the car. You can get the kids onboard with your car safety habits (pun intended!) by teaching them this Wiggles song which will help them learn how to buckle up safely. If you have a child at your place who finds it fun to open car doors while driving, you’ll know the special kind of terror that such a moment can create. Doing 100 km per hour down the freeway is not the time you want to discover that your child knows how to open their door. Take ten minutes now to familiarise yourself with the child protection lock on your rear passenger doors. You only have to set it up once, while the door is open, and then the door will only be able to be opened from the outside. 3. Keep the keys to yourself! What is the magic of car keys that makes them irresistible to kids of all ages? My school-aged children still regularly beg to be allowed to unlock the car, as though it’s a reward for good behaviour. 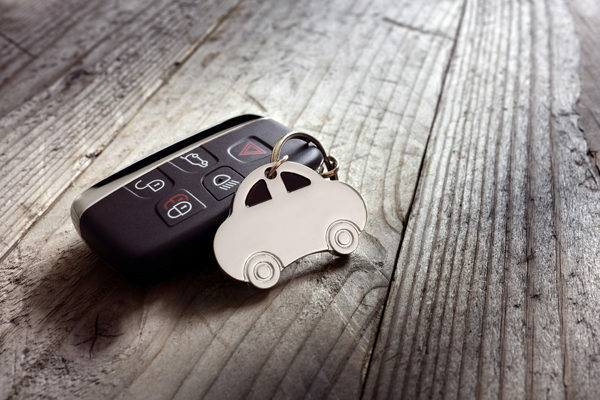 But letting your kids play with car keys can get you into all sorts of dramas, not least the kind that end with them locked inside the car and you on the outside getting increasingly desperate. Save yourself from this outcome by making the car keys off-limits to kids. If you’re buckling up safely and straight away, you’ll already be on the way to eliminating the lure of playing in the car. Inside the car is not the place for your kids to start free-ranging. There’s too much temptation with knobs and levers and you don’t want to risk the car sailing down the driveway without a driver. Keeping kids entertained on long car trips (or even short ones) can certainly be hard work. Even so, there are a couple of ways kids like to entertain themselves that you should veto, even if they’re safely buckled in. Don’t let anyone stick any part of themselves out the windows while driving! And discourage games in the car that involve waving things around that might hit someone else (including the driver), or block your vision. This one seems like a no-brainer too, but it’s remarkably easy to suddenly discover that your child has had a growth spurt and is way too big for the seat they’re currently in. Head to Child Car Seats for all the information on the correct seat for your child. We know you already know all about the dangers of heatstroke for kids in cars, and you wouldn’t ever do that. But it’s worth checking with members of your family who might be driving your kids around too. It’s not that long ago that it was still reasonably common practice for parents to leave napping children in the car once they got home, or dashed into the shops. And even if you wind down the window, it gets dangerously hot in there very quickly. Next time you put the car seat in someone else’s car for them to take your child on a trip, have a conversation about not leaving the kids in the car, even if they’re asleep.